PACE is the ONLY doctor-designed program proven to help you reclaim a young, lean and effortlessly energetic body in as little as twelve minutes -- guaranteed! PACE is a growing revolution. It's already practised by thousands of people in dozens of countries around the world. 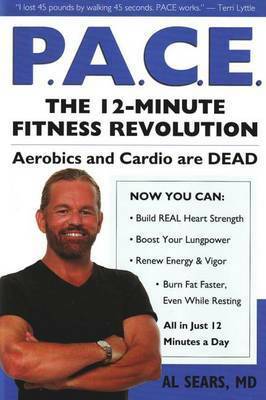 PACE overturns years of failed ideas and exercise advice. PACE upends current exercise trends by revealing their flaws and offering a more effective, more natural way of moving our bodies. This book will show you how to replace the flawed and ineffective theories the have been mistakenly accepted without proof with what really works. Join the PACE revolution and your body will soon become naturally strong and resilient. You'll join the cutting-edge group of thousands who now feel energised, motivated, and ready to take on any challenge. And the best news is that joining the PACE revolution takes on average only twelve minutes per day.